The theme and its plugins come localization ready out of the box – all that’s needed is your translation, if the theme does not come bundled with one for your language. 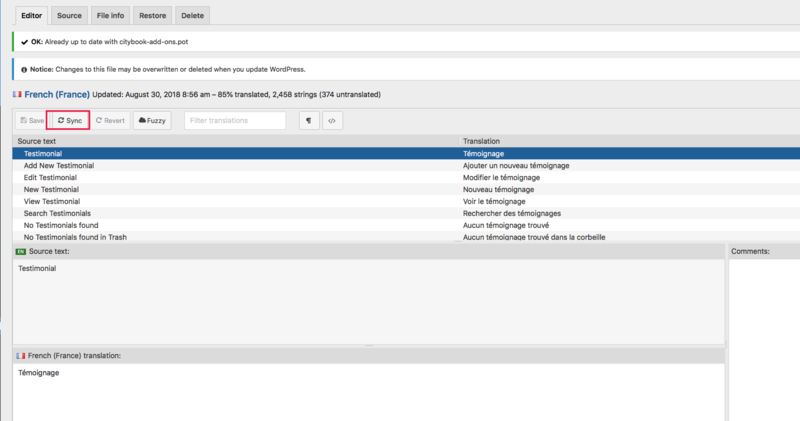 There are several methods to create a translation, most of which are outlined in the WordPress Codex. However, we find the easiest method is to use a plugin called Loco Translate. 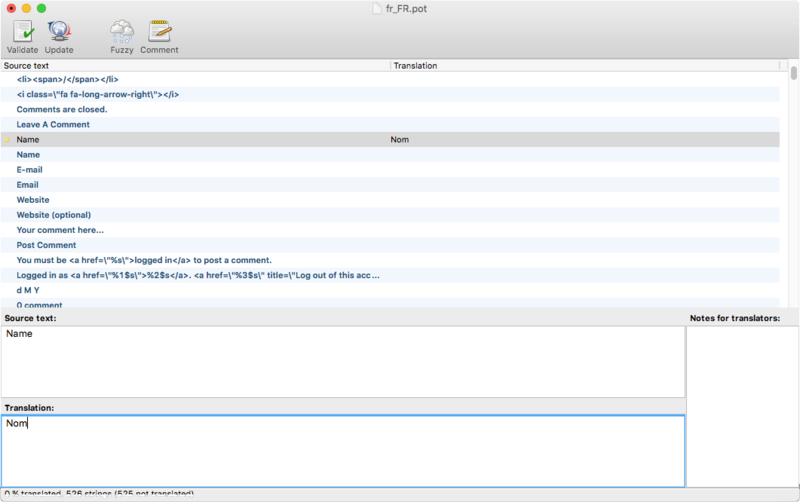 More advanced users can use PoEdit. Both methods are covered in this doc. The theme includes a language file (.po or .pot file) which contains all of the English text. You can find this language file inside the theme folder in \public_html/wp-content/themes/easybook/languages/. 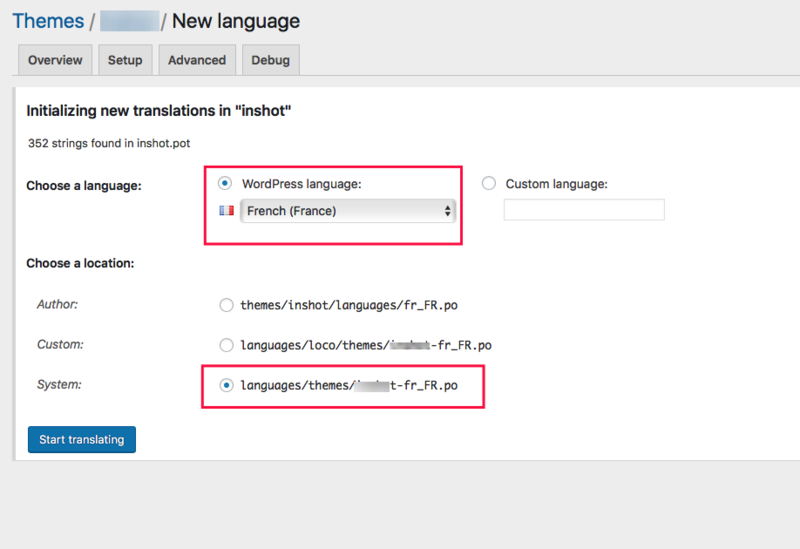 WordPress needs to be told which language it should run under. Once this has been done, the theme will be displayed in your locale if the language file exists. Otherwise you need to create the language files (process explained below). Loco Translate is a free plugin that you can download here. 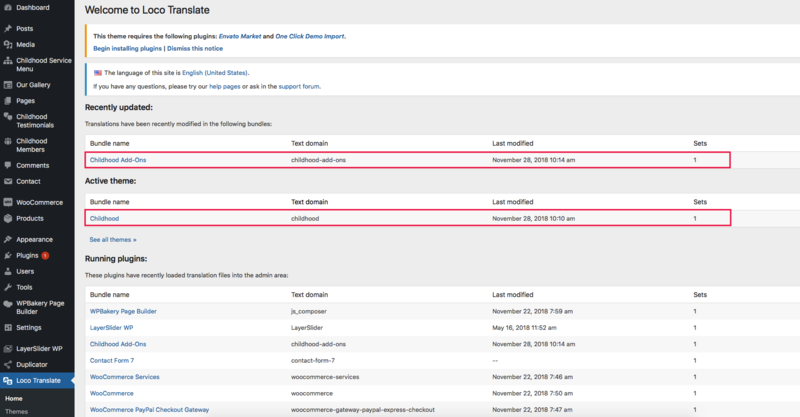 You can also add directly from the WordPress administration, in Plugins > Add New. For existing translations, you can use Copy button to make a System saved version. And the system version is loaded first. 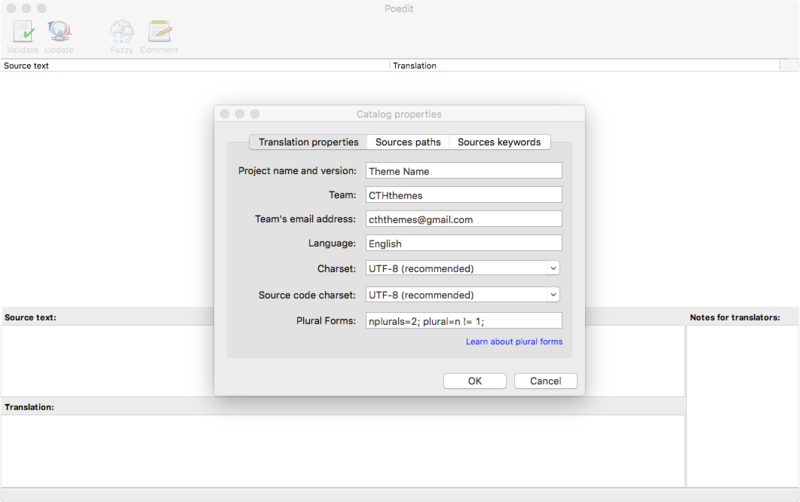 PoEdit is a more advanced alternative to Loco Translate. Only advanced users should attempt this method. Enter your name etc so other translators know who you are and click ‘ok’. 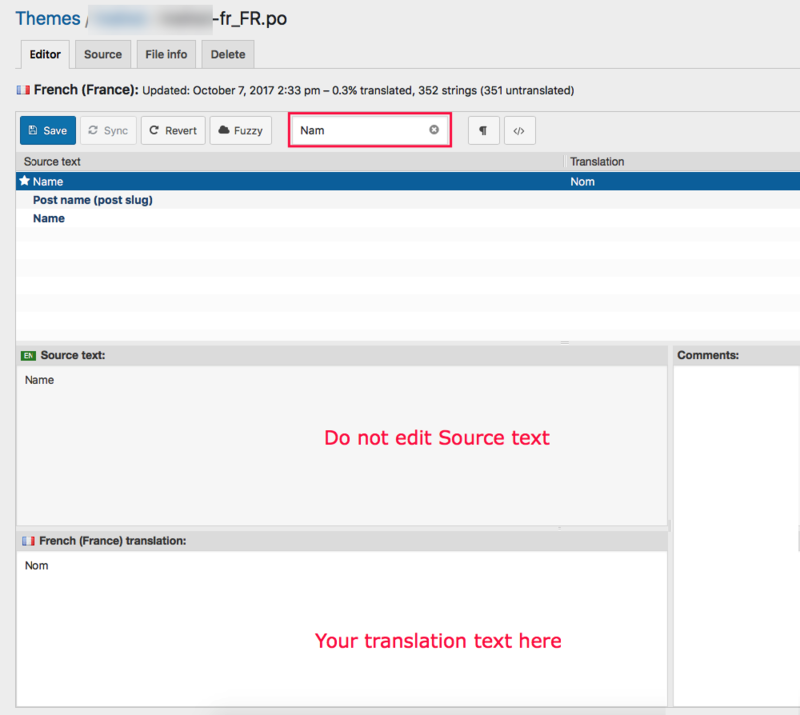 After this you will be prompted to save your .po file – name it based on what you are translating to, for example, a GB translation would be saved as en_GB.po . Now the strings will be listed. After translating all strings you can save – the .mo file will also be generated automatically. After updates, you can update your po file by opening it and then going to Catalog > Update from POT file. Choose the file and it will be updated accordingly.